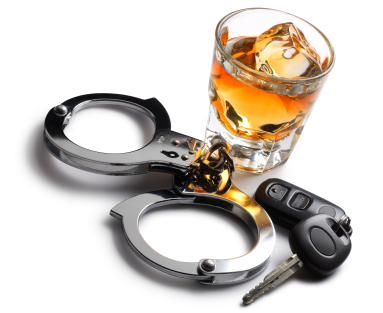 The DUI process is long and complicated with several imporant steps that are crucial to any successful defense. At A. Bishop Law, we want our clients to be informed and participate in the process of their own case. We believe that an informed client, or potential client, helps in the defense of their Georgia DUI case. Below we have outlined the main steps in a Driving Under the Influence case. Georgia DUI Process from Start to Finish: What to Expect. If you have been charged with a Georgia DUI we can help. Please call A. Bishop Law 770-783-5296. Vehicle in Motion: A law enforcement officer may observe a driver commit a driving violation or equipment violation and stop the vehicle on that basis. Roadblock: A vehicle could be stopped as a result of a roadblock regardless of equipment or driving violation. Law enforcement performs a brief interview of driver while stopped at the roadblock. Personal Contact: The officer pulls over the motorist, and asks for license, registration and insurance. The officer will make an observation about alcohol consumption. The driver will then be asked a couple of questions about how much the driver has had to drink, where they are coming from, etc. Based on the officers assessment, the driver will be allowed to go or the officer will proceed with additional questioning. Arrest Decision Phase: The driver will be asked to perform field sobriety tests and the officer will perform other observations about alcohol consumption and coordination. Actual Arrest: If the officer is Suspicious of the motorist Driving Under the Influence it will most likely result in the officer arresting and handcuffing the driver. Reading of Implied Consent: Driver will be informed of rights and obligations of testing of blood, breath, and urine. Blood/Breath Alcohol Content Testing: The driver will be taken to the police station for a breath test or to the hospital for a blood or urine test. Notice of Intent to Suspend Driver’s License: If a defendant refuses a blood/alcohol test or is over the legal limit the officer may issue a form 1205 regarding a license suspension. Jail: Driver will be jailed until Bond is posted. Bonding Out of Jail: An individual or a bonding company puts up money to secure the release of the defendant and ensure the defendant appears in court to address the charges. Attorney is Retained: A qualified and knowledgeable attorney is necessary at this point to ensure that the defendants case is handled with the expertise only an attorney can provide. A DUI is a serious violation; keep in mind advocacy groups lobby heavily to judges and prosecutors encouraging them to convict DUI offenders to the fullest extent of the law. Investigation of the Case: Your attorney will investigate the case to find out the facts of your case, including procedural errors performed by the arresting officer. Pre-Arraignment and Post Arraignment Plea Negotiations: Your attorney will attempt to negotiate a dismissal of charges or for a reduced sentence. Arraignment: Driver pleads guilty or not guilty. Not guilty plea; the case will proceed to trial. It is very important to know that the defendant has 10 days to file legal motions to contest the legality of the arrest and evidence obtained against them. Discovery: Review of the prosecutions case of defendant including evidence such as audio, video, reports, and pictures. Motion to Suppress: Your attorney will challenge the legality of the vehicle stop, the detention of the driver, standard field sobriety test, the arrest decision and any statements made. Preparation for Trial: Lawyer prepares for trial by reviewing all evidence again, including a review of the motion to suppress hearing transcript. Calendar Calls: Report to judge on status of trial and wait for the case to be called. This process can take several months going back and forth to court. Trial: Jury selection, opening statements by both sides, presentation of evidence by the prosecutor usually by the testimony of the arresting officer. Cross examination “ Performed by defense counsel of witnesses and presentation of evidence by defense. Cross examination “ Performed by prosecutor. Closing statements “ Performed by defense counsel and prosecution. Jury instruction – Judge instructs jury on the issues to decide. Jury deliberation on decision of guilt or innocence. Jury decision “ Jury reads their verdict of guilty or not guilty. If not guilty, the defendant is free to go. If guilty, the judge will sentence the defendant. Appeal to the Court of Appeals or Georgia Supreme Court: Encompasses any legal errors that may have been made by the judge. We understand that an arrest for Driving Under the Influence can be overwhelming and a scary experience. Being informed every step of the way is an important part of minimizing the stress of the process, and hopefully putting you at ease, while we work to provide you with the best possible outcome for your case. A serious charge requires a serious defense attorney.